1. What do you want your business card to say about you? Your business card is essentially your idea on a wallet-sized piece of cardboard. Consider the purpose of your business and what you’d like your first impression to be. Almost like dating for the first time. For example, if you just want your contact details – do the research and find the best ways to layout that information. If you want the card to be whimsical and creative, explore those options but remember to keep it simple as you don’t have a lot of real estate. What are the team colours for your brand? Colours can symbolise the tone of your business and can be used to highlight parts of your design. Be sure to experiment with different colour combinations of your brand before you settle for a business card design. Cheesy imagery such as stock images and clip art can cheapen your brand. Create identifiable for your brand and shows that you are unique. The best option is to use your logo as the main focal point of your business card. If you do include a logo, be sure to use high-quality vectors to avoid pixelation or distortion. This sounds like a no brainer, but you would be surprised by how crazy people go with their own business cards. Know that your business card is just a handout for contact details for when you’re networking between small groups of people and are not for closing sales. For hard sell marketing or spreading awareness between a large number of people, that kind of information can be reserved for a poster or in this day and age, paid online marketing campaigns. This 2-dimensional game is about an insect knight who fights using a needle for a sword. Originally launched on PC, it’s a beautiful game if you’re into exploring and adventure. The world building and platforming sections keep the gameplay fresh, perfect for when you’re commuting on the train or chilling at home before bed. If you’re still after another 2D Metroidvania game with an incredible experience, I recommend Dead Cells. Dead Cells is a good mix of roguelike and dark fantasy genres, offering incredible visuals, intense action scenes and offers an amazing experience. Available on PC, Xbox, PlayStation, Mac and the Switch, Night In The Woods is a BAFTA award-winning adventure game with a focus on exploration. Unlike most adventure games, Night In The Woods is an arthouse narrative that will stay with you long after the game has finished. It features mystery, melancholy and emotional experience with an anthropomorphic community and when you’re playing, the 2D rendering feels like a visual novel. Released in 2017, The End is Nigh is still a must-have in 2019 if you’re after an indie game that is both challenging and offers satisfying gameplay. If you’ve been a fan of Super Meat Boy, the End is Nigh captures the same tone but delivers a lot of content in terms of game design with incredible music and art. 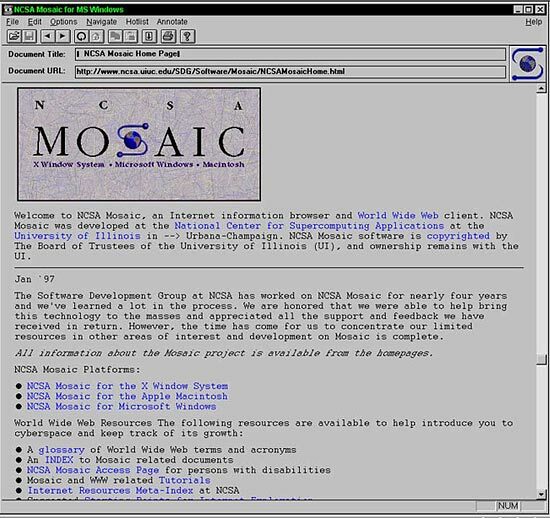 Before Google Chrome, Firefox and even Internet Explorer, we had the great ancestor of all web browsers to do the job: the World Wide Web by Tim Berners-Lee. What started in 1989 as a system built for CERN’s scientists to store and retrieve information using pages and hyperlinks embedded in text, became an innovation that later changed the entire world. To celebrate its 30th anniversary, CERN has recreated and published the world’s first web browser here. If you paid any attention to Triple J’s Hottest 100 Countdown over the Australia Day weekend, you would know that Northern Beaches group, Ocean Alley was crowned number 1 on the charts with their most coveted song, Confidence. Compared to last year’s 48th spot on the Hottest 100, the group ascended to the number 1 position with over 2.7 million votes under their belt and reportedly the largest count ever conducted by Triple J. Following their lead was Travis Scott’s SICKO MODE and Childish Gambino’s This Is America which unexpectedly slipped to number 4 on the charts. Remember when Magazines were popular? Since the 1800s to the early 2000s – magazines were not just printed books you found lying around in a doctor’s office. They were the backbone of pop culture and one of the most powerful tools of media consumption. Once everything became digital and the transition towards the Internet began, magazines and all things print were left forgotten. Will we ever see the rise of print again? Highly unlikely. We are glued to our phones. The closest thing we have to magazine culture is Instagram. The magazine empire held onto a long history of selling the ideal lifestyle. Magazines were the equivalent to the bible for middle-class readers, indoctrinating a patriarchal idea of what to think and how to think. The industry controlled what you wore by telling you what was in or out, who to listen to, and the only source of journalism at the time. Although fake news exists within the dark webs of the internet, consumers are much smarter now with resources and tools to fact-check at their disposal. Whatever comes next for the post-journalism and post-internet era, readers will evolve. Hitting the beach this summer? Might as well win a new camera kit at that. Nikon is partnering with Surfing Australia to hold the Nikon Surf Photo and Video of the Year Award, honouring the best works from surf photographers and videographers. The award is open to Australian residents, and the images can be taken anywhere in the world in 2018 across the categories of action, lifestyle/portrait and scenic photography. The winners will be picked by a panel of judges, including seven-time champion of the Women’s World Surf League Tour and Nikon Ambassador Stephanie Gilmore, based on the following criteria: innovation and creativity; dramatic affect and sensory impact; uniqueness; and composition of the photo. The winner of the Surf Photo of the Year will get a Nikon Z 7 kit, and the winner of the Surf Video of the Year will get a Nikon Z 6 kit. You can enter up to three photos and two videos until submission closes on February 15. For more info, visit the website. Enrolling in drama courses is a great way to learn acting and get exposure to practical experiences like reading and auditioning. But throughout the lessons, you can also find life skills that can help you navigate through the world. If you’re still considering on taking up a course, check out the following list of things you’ll learn to help you make the decision. By practicing voice projection and physical expressions, students in drama courses can develop their verbal and oral communication skills and learn the best ways to convey their ideas. Drama courses put students in a setting where stage acting meets screenplays, directing and cinematography. All of these put an emphasis on storytelling, which is an especially valuable and transferable skill in today’s attention economy. A good story is something everyone can appreciate, and learning the many different components can help you master the art of stringing one. Through character study and immersion, you can learn a lot more about what drives human behaviour: needs, wants and fears. With this, it will be easier to understand and empathise with other people, a skill that will be useful for all areas in life. While acting definitely requires preparation and memorising, the best actors are the ones who can improvise in character. Writer and actor Dominic Zhai likened acting to combat sports. “Like Tyson said, “Everyone has a plan until they get punched in the face”,” said Zhai. Improvising in acting helps you stay prepared yet flexible in dealing with unexpected situations, which is always useful in your day-to-day world. World-class jazz duo Some Of Two Parts is bringing their music to the famous Annandale music venue for its first ever Airbnb Experiences concert. After Airbnb launched its Experiences program in Australia last month, allowing locals to offer activities and experiences, Some Of Two Parts is finally joining the party with the Newsagency to play the venue’s inaugural special concert. Featuring Loretta Palmeiro on soprano saxophone and Mark Isaacs on piano, the jazz/contemporary duo has performed at the Sydney International Women’s Jazz Festival. Tickets are $25. For more information, visit the Airbnb page.